This idea, once controversial, is now supported by science, and has become widely popular among therapists around the world. 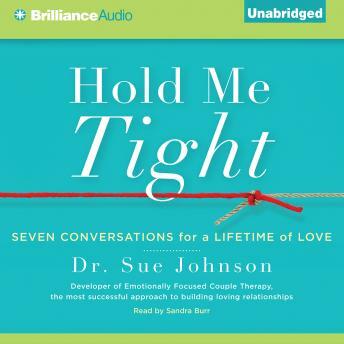 In Hold Me Tight, Dr. Sue Johnson presents Emotionally Focused Therapy to the general public for the first time. Johnson teaches that the way to save and enrich a relationship is to reestablish safe emotional connection and preserve the attachment bond. With this in mind, she focuses on key moments in a relationship-from 'Recognizing the Demon Dialogue' to 'Revisiting a Rocky Moment' -- and uses them as touch points for seven healing conversations. A most fantastic and revolutionary book. This book it great! It makes you think and become very deep and close to the person you love, very strong!